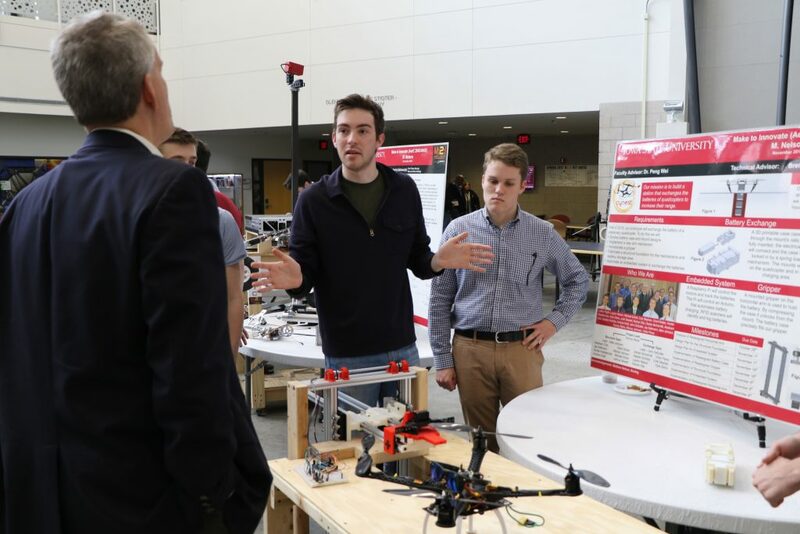 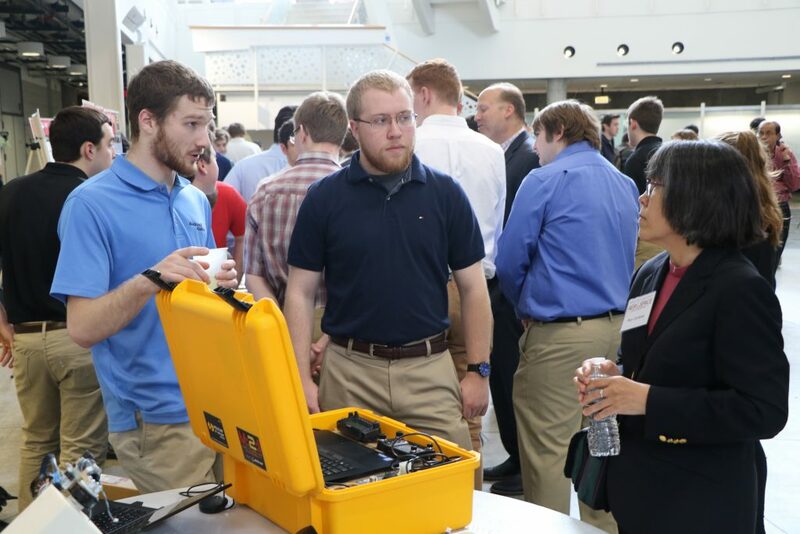 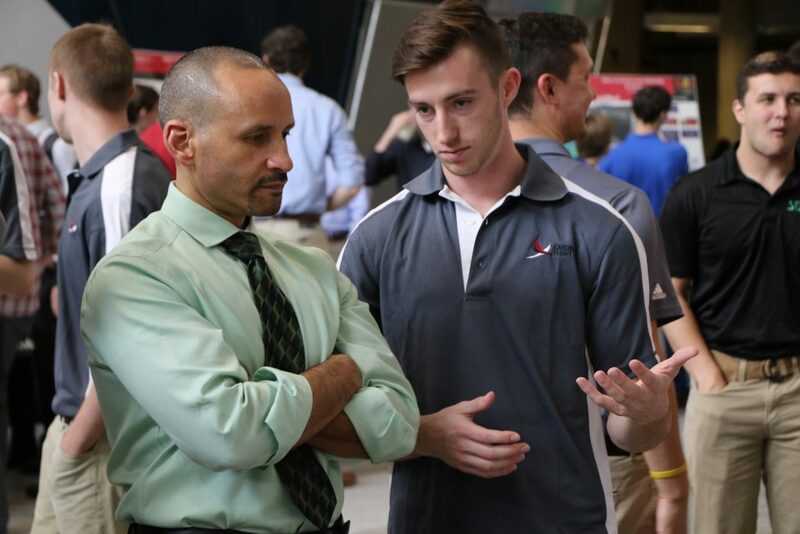 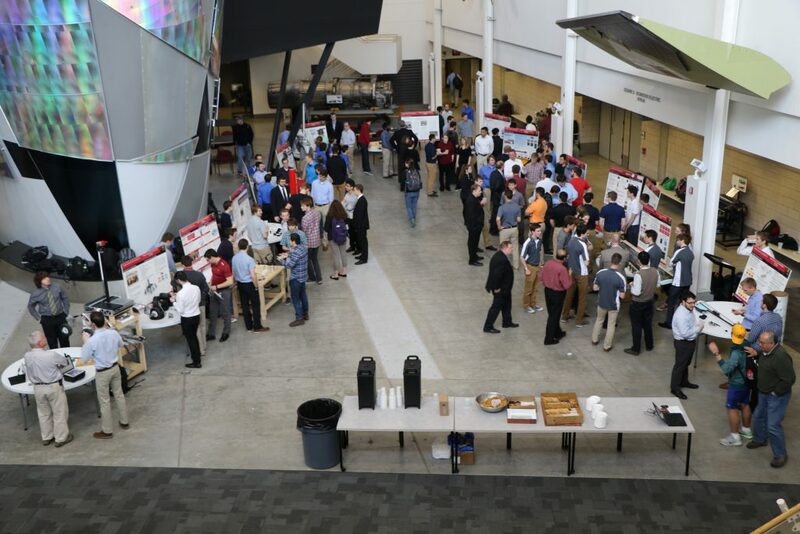 Make to Innovate held the Aero Expo on Tuesday afternoon in Howe Hall. The 13 M:2:I groups had a chance to display their projects and speak with students and faculty regarding the progress and future goals. 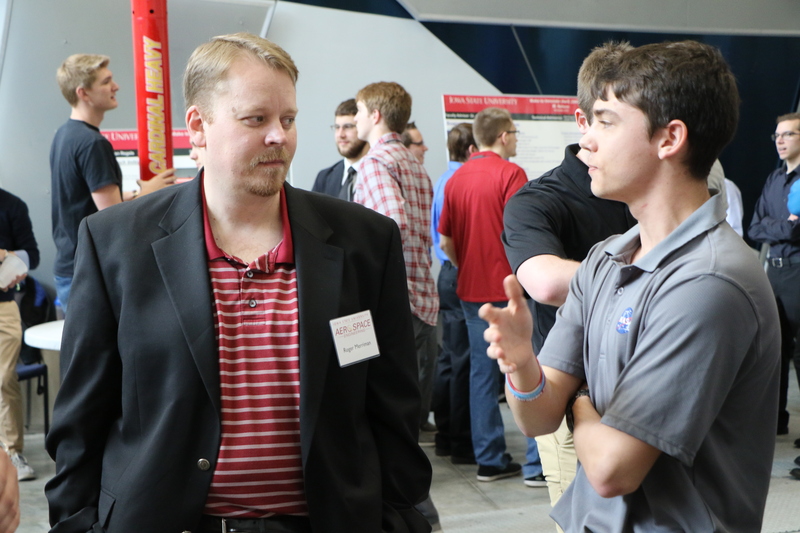 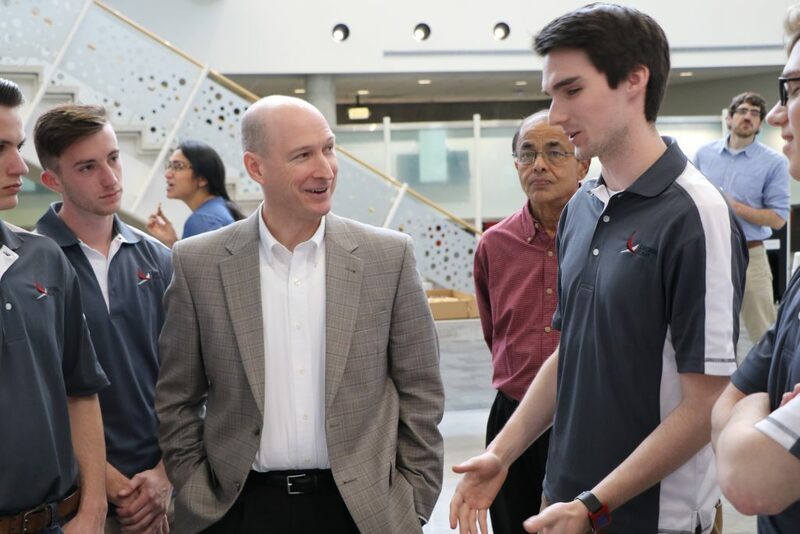 The aerospace engineering Industrial Advisory Council, which is made up of aerospace professionals, was in attendance and spent an hour and a half speaking with the students. 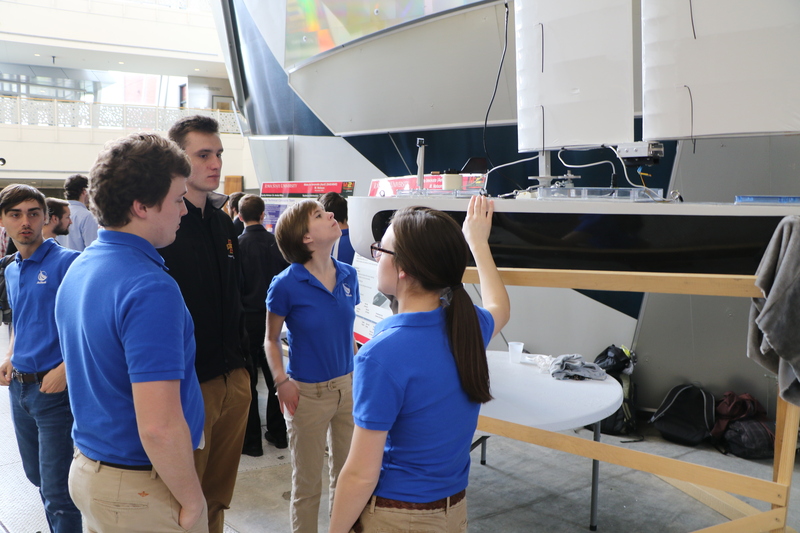 Many of the teams are putting the finish touches on their designs and will compete in competitions this spring. 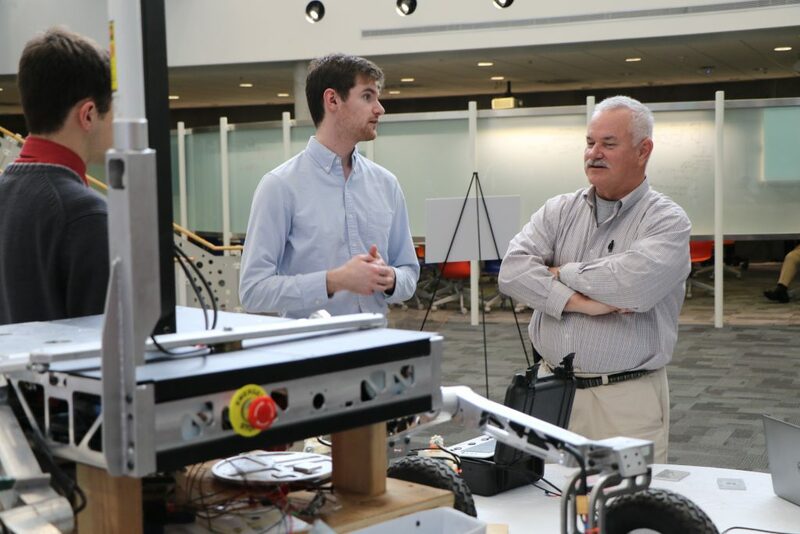 For more information about Make to Innovate, visit the M:2:I website.